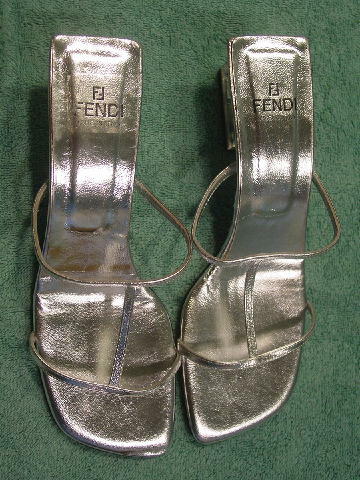 These silver lame leather slide sandals were made in Italy by Fendi. 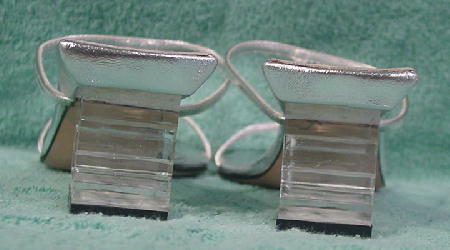 There are two thin horizontal straps and one vertical thin strap attached to both. 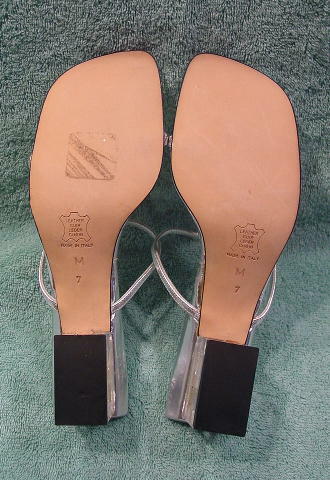 The front angled insole is padded. The inner tip of the padded insole has a slight crease. 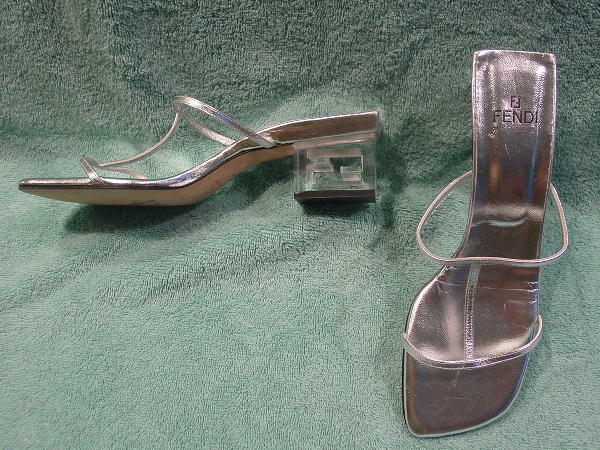 It was there when the shoes were originally purchased new. 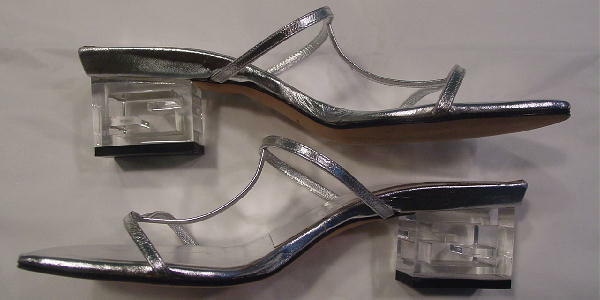 They have leather soles and clear lucite heels with a cutout design pattern. She only wore them once, to a Hollywood Christmas party.